August 2018: Welcome to a cooking series that the Enthusiastic Kitchen Elf and I concocted for the 2018-19 school year after we attended their back-to-school night last night. Our kitchen project aligns with a year-long project for his AP Human Geography class where he and a buddy will be looking at different concepts through the lens of the Philippines. He didn't pick the country - it was assigned - but I find it intriguing to take a deeper look at my heritage. Their heritage. 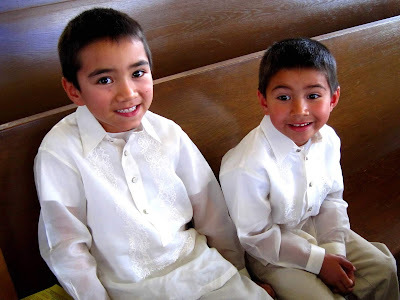 D is a freshman in high school, now, and these photos are from the last time he wore a barong tagalog (that's the Filipino shirt they have on). 2009. 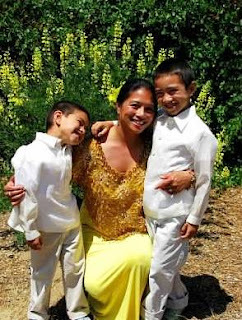 As they tell me, "You're a bad Filipino, Mom. But it's not your fault. Nonna wanted you to be American." 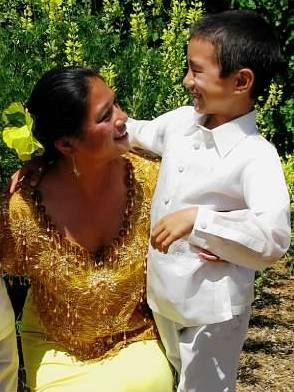 And, yes, they do refer to my mother (who immigrated here from the Philippines when she was a child) by the Italian moniker for grandmother. Well, it makes sense: I don't speak Ilocano, Tagalog, or any other Filipino dialect...but I do speak Italian! So, to go along with his focus on the Philippines. We are going to learn, cook, and share traditional Filipino recipes. And we are going to dig deeper than pancit and lumpia. When I've heard those described, people say, "You know...pancit is Filipino chow mein and lumpia is a Filipino egg roll." 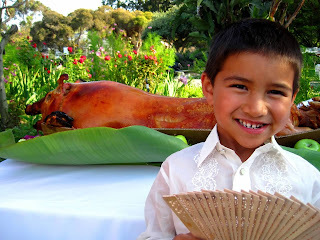 But Filipino food is so much more than that! 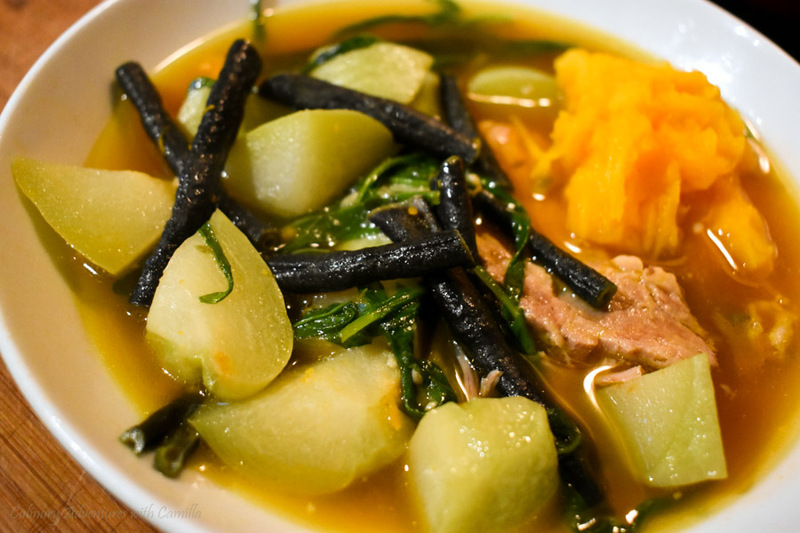 I hope to share recipes from Filipino grandmothers - recipes that use vegetables people here have never heard of much less used and recipes that incorporate offal and other meats because they didn't want to waste those parts. We'll scour the markets and I'll be calling on all of my friends and family who are better Filipinos than I to share their techniques with me. Even though we're going beyond pancit and lumpia, I will share my lumpia recipe. 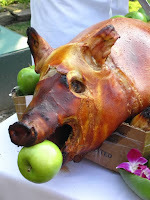 And I just might get a suckling pig so we can try our hand at lechon. Maybe. Stay tuned.